The mellophone / F-Marching alto PRO PAC is the solution for those looking for a lighter & smaller case. 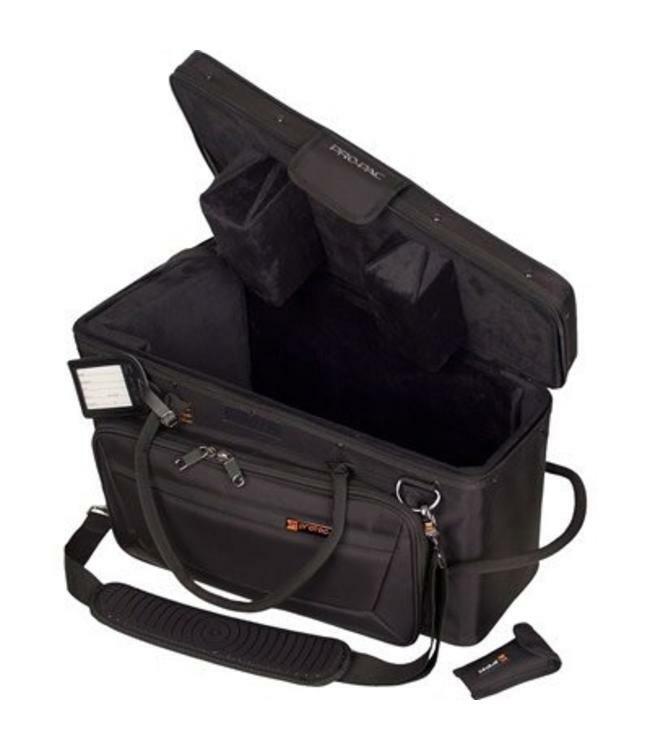 Designed to fit in most band-room lockers, each case features a tough nylon exterior, roomy exterior pocket, double mouthpiece pouch, and works with our optional backpack strap. Exterior Dimensions: 21 x 13 x 14"